Looking for the Digital Reader version of this issue? Click here! DC‘s Digital Reader is a faithful recreation of the printed magazine, in digital form! 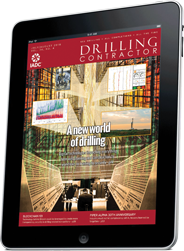 Digital Reader can be viewed on an iPad or Android tablet, and/or your Windows or Mac OSX computer. Drilling Ahead: Is this just another cycle, or is it really different this time?